Success stories. Roman Shvorak. Perspectiveless vegetative syndrome… for 3 years we return to independent life. Diagnosis: Consequences of acute opened penetrable CCI(21.01.12), injury-crash of the brain, operation (21.01.12) for trepanation of skull with deleting of cerebral detritus and free fragments of fractures of frontal bones, plural intracranial hematomas, operation (04.04.12) from the plastic of the skull stem in the area of front cranial fossula, apallic syndrome (vegetative state) on the stage of akinetic autism, 2-3 levels after the Ranch of Los Amigos scale with deep expressed spastic tetraparesis, more to the left by hemitype, total aphasia, astasia, abasia, deep intellectual-mnestic delay, neurotrophic disorders, total vegetative disfunction, parafunctions of pelvic organs, bending contractures of humeral, elbow, radial-carpal joints and rough bending contractures of hip and foot of shin joints. 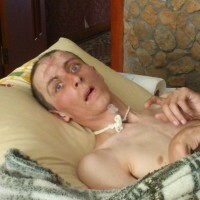 Three years ago Roman was considered a doomed patient in vegetative state. 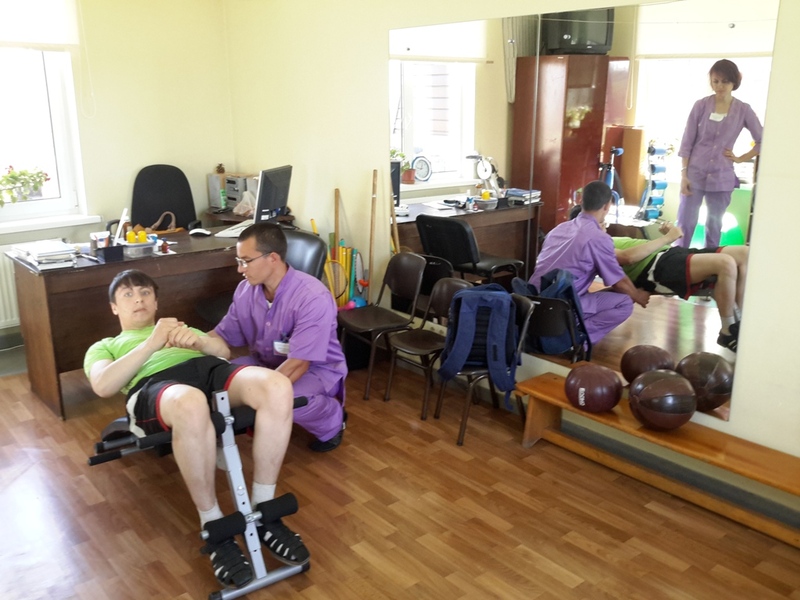 Eight courses of intensive treatment and rehabilitation in the Clinic of healthy vessels allowed to turn him to consciousness, restore thinking, set his on feet and form walking. Roman’s walking with his mother on July, 22, 2014 on streets, first independent steps. In future he is waiting for a difficult operation – closing of the trepanation defect of his skull, superciliary arch, closing of the tracheostomic opening on a background of the trachea stenosis. Arising from the vegetative state. Speech function restoration. Consciousness and language restoration is extraordinarily difficult tasks for a rehabilitation team. High-professional knowledge and experience of the scientific leader of the Clinic of healthy vessels are very important for the rehabilitation team. Unique video of intensive work under speech restoration in 3 years after the brain trauma and after operative intervention for restoration of the integrity of respiratory tracts. Ending of the eighth the rehabilitation course in the Clinic of healthy vessels.